Can you fit a dishwasher in your tiny house or RV? Our house may be tiny, but we have plenty of room for everything we need, and room left over for some of the things things we want. It's all about priorities. Who am I kidding? I NEED IT. We both hate hand-washing dishes. 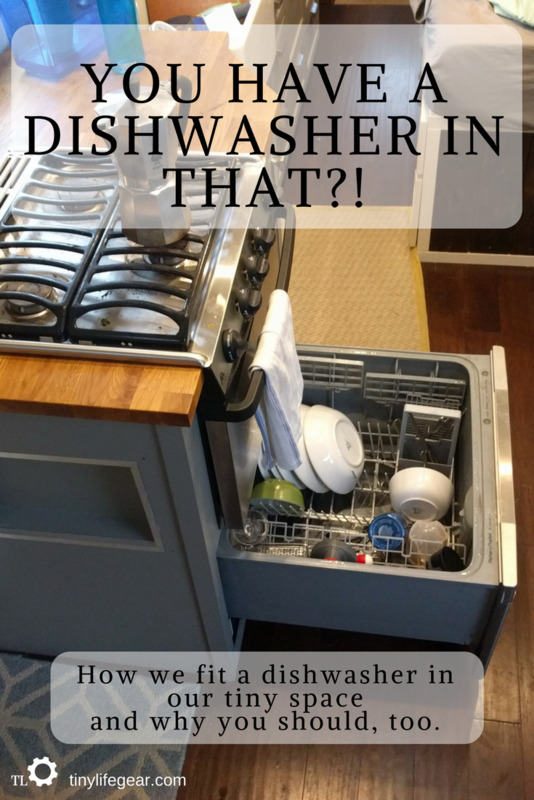 Using a dishwasher saves a surprising amount of water -- we have to fill our water tank about half as often when we can use the dishwasher. It's a place to put dirty dishes instead of filling up precious kitchen sink or counter space. And the dishwasher doubles as safe storage while we're moving. The model we're using is a Fisher and Paykel dish drawer. At 27" wide and 20" tall, it fits perfectly below our RV range, which is the shorter 17" Atwood model. It's a single rack, so we have about as much space as the bottom drawer of a typical household dishwasher. The drawer has an option to automatically lock shut when closed, so we don't have to worry about securing it when traveling—a feature specifically designed for boats and RVs. The dishwasher takes a lot of electricity compared to our other appliances. But the 30 minute quick wash cycle will usually do the job just fine, and it can be powered with reasonable sized house battery. We've consistently been able to run it on a sunny day with our four 100 watt solar panels and our small 100 amp-hour AGM battery. Check out the model dishwasher we're using here. Another option with a lower price and slightly more compact design is the VESTA built-in dishwasher (also on Amazon here). If you have the space for it, a full counter-height dishwasher with a slim 18" width might be a good fit for your space. 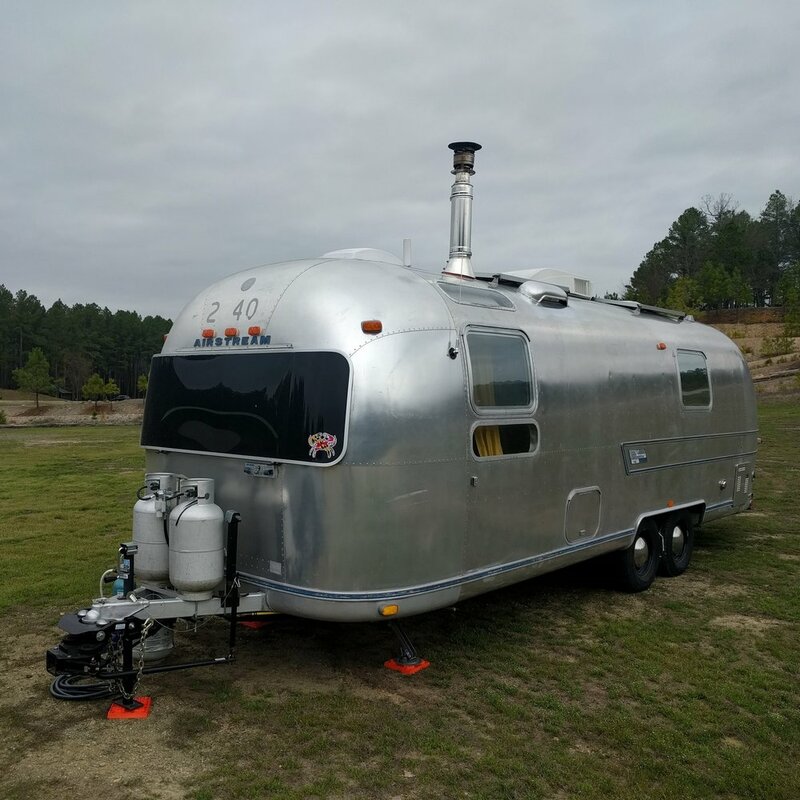 Furrion makes an 18" dishwasher for the RV industry, and there are quite a few vendors who offer slim household model dishwashers. If you're looking for a portable solution that doesn't require modifying your cabinetry, there are some counter-top dishwasher options. But built-in is the way to go if you can, since you won't have to sacrifice precious counter space. You're going to be using this appliance all the time, so it makes sense for it to have a permanent home. Grab some biodegradable dish detergent while you're at it. Want spotless dishes? You're softening your water, right?